A Place for Us unfolds the lives of an Indian-American Muslim family, gathered together in their Californian hometown to celebrate the eldest daughter, Hadia's, wedding - a match of love rather than tradition. It is here, on this momentous day, that Amar, the youngest of the siblings, reunites with his family for the first time in three years. Rafiq and Layla must now contend with the choices and betrayals that lead to their son's estrangement - the reckoning of parents who strove to pass on their cultures and traditions to their children; and of children who in turn struggle to balance authenticity in themselves with loyalty to the home they came from. 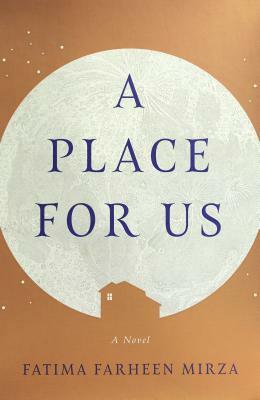 In a narrative that spans decades and sees family life through the eyes of each member, A Place For Us charts the crucial moments in the family's past, from the bonds that bring them together to the differences that pull them apart. And as siblings Hadia, Huda, and Amar attempt to carve out a life for themselves, they must reconcile their present culture with their parent's faith, to tread a path between the old world and the new, and learn how the smallest decisions can lead to the deepest of betrayals. 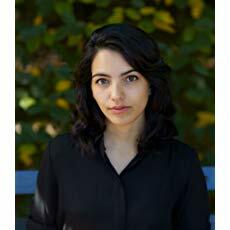 A Place for Us by Fatima Farheen Mirza is a 2018 SJP for Hogarth publication. The incredible amount of time I waited to read this book was worth it. This book is everything my peers said it would be. What can I add, at this stage, which hasn’t already been said, and far more eloquently than I? A formidable task, but I couldn't leave all these powerful emotions bottled up inside, needing to express some of my own personal thoughts on it. I’m a big fan of family sagas, and no matter which way you slice it, this book falls into that category. However, this is also a story about the struggle for individuality within the family unit. It’s about generational divides, traditions, religious customs, and rigid expectations, which tilts the dynamics, especially between father and son. These themes, (despite the added elements of cultural and religious diversity, and the examination of gender roles within the family unit, which certainly makes this story a unique experience for most readers), are not necessarily new. Any parent, any child, any family, with similarities, such as disciplinarian parenting, often coupled with deep religious fervor, could relate to this family, at least to some extent. While Layla and Rafiq are in an arranged marriage, and their faith is important to them, their children often question the answers, perhaps in a way their parents never dared. If only people had the benefit of hindsight, if only our mistakes could be taken back, if we could have a do over, knowing exactly where things went awry, if only blame was placed where it should be placed, if only we were not all flawed humans - if only this were a perfect world. As the tragic events unfold, the characters each come into their own, confessing horrible secrets, admitting complicity, guilt, blame, and expressing overwhelming regret. This is family. This is parenting. This is life. There is pain, there is progress, there is forgiveness, there is hope- and 'a place for us'. This novel is eloquently written, so fresh, so raw and emotional, and so very real. This is not a flashy story, sidestepping pretentiousness, while replacing it with a beautiful, understated quality, which is quite effective. It is this sense of realism, the feeling of being, not on the outside looking in, but of being present, in the moment, right there with the characters, as the story unfolds, that held me firmly in its grip. I was far more in tune, listening to the silence, carefully watching, and waiting with bated breath to see how events would unfold. As the conclusion draws near and the second person narrative of Rafiq begins, the silence is finally heard. These passages nearly ripped my heart out. If this were a movie, showing in a crowded theatre, there wouldn’t be a dry eye in the house. I’m not normally swayed by celebrity book clubs or in this case, imprints, but SJP picked a winner with this one. A very impressive debut for Fatima Farheen Mirza, for sure. I feel she is light years ahead of many of her contemporaries and can envision a very bright future for her in literary land.